As we know Ramadhan season is just started. During Ramadhan, most of the Muslim region will be fasting for the whole month. This year Ramadhan, Domino’s Pizza aim to make everyone is life easier. There will be a great deals that will really make our life easier. 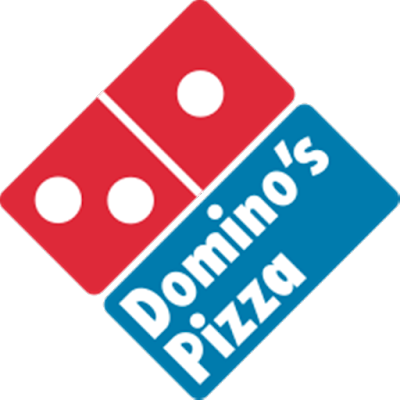 The new concept of Domino’s Pizza able to enjoy our Domino’s Pizza without any worry of having to go through the rush hour traffic or waiting for deliveries during the “Buka Puasa”. 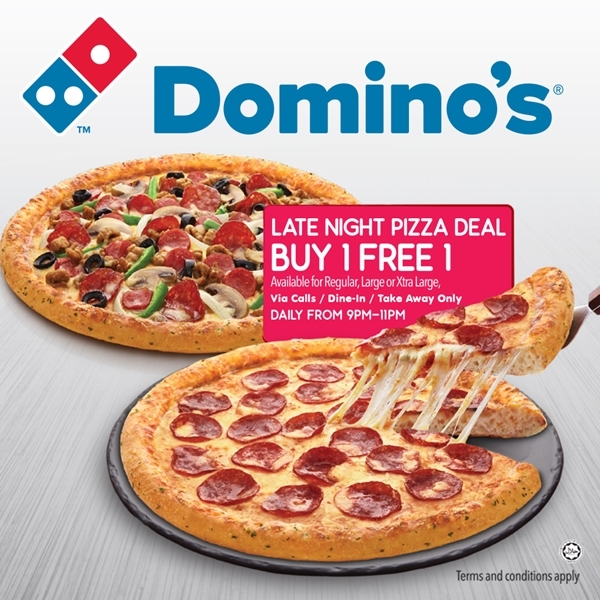 Not only that, there will be Buy 1 Free 1 late night Domino’s Pizza, that is really perfect night to enjoy with your friends and also family. 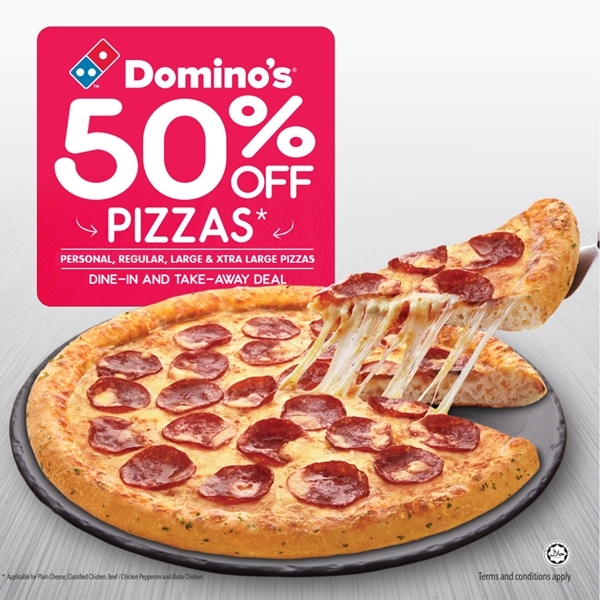 You can now enjoy 50% off on the personal, regular , large , xtra large pizzas when you order online ahead of time! To make your order , visit http://bit.ly/DRamadhan today. Just visit the store to dine in or pick up and you will be able to enjoy the Hot and Wow Pizzas fresh from oven ! *terms and condition apply*.